NEW YORK, September 19, 2011 — In the decade since the United States first helped launch Operation Enduring Freedom in Afghanistan, Washington has seen neighboring Pakistan as both friend and foe — occasionally simultaneously — in its fight against Islamic extremism. Given that Pakistan's other neighbors include Iran and India, it is easy to understand why the U.S. diplomatic relationship with Islamabad is viewed as one of the world's most important. 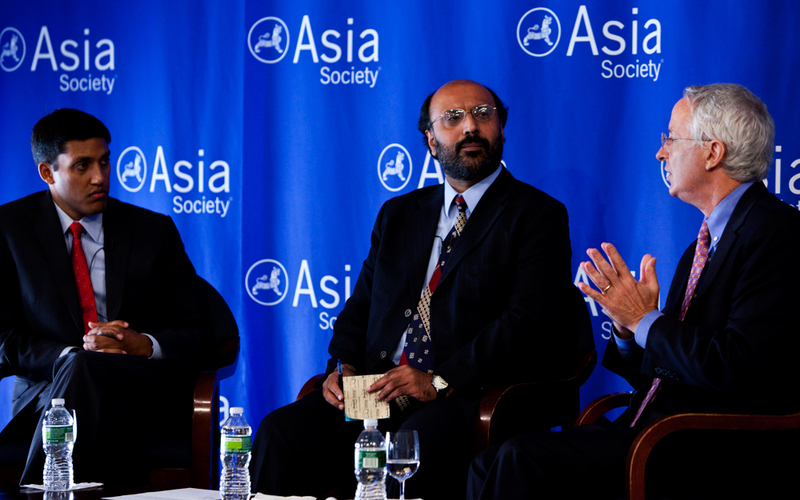 Speaking Monday morning at Development and Diplomacy in Pakistan: A Way Forward for US-Pakistan Relations, hosted by the Asia Society in New York, U.S. Ambassador to Pakistan Cameron Munter and USAID Administrator Dr. Rajiv Shah presented a side to the country that often escapes the notice of the global media. Pakistan, after all, remains a developing country which faces major challenges in providing primary school education, electricity, and other basic services to its population of more than 150 million. Though enormous challenges remain, Shah said many of these needs are being met. According to Shah, USAID has helped fund infrastructure projects throughout the country, all the while working to ensure that the benefits of economic growth are spread more equitably throughout the population. This assistance, Shah said, has the additional benefit of improving the perception of the U.S. among the Pakistani population. "Our relationship with Pakistan is complex, but our development side should be more straightforward," said Shah. Nevertheless, problems remain. 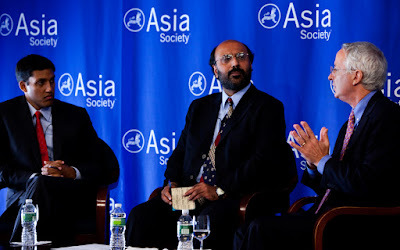 Munter candidly referred to the past year as "tough" and gave himself only a "C or D" grade, indicating that current relations between Islamabad and Washington have much room for improvement. Incidents like the raid on Osama bin Laden's compound in Abbottabad and the arrest of suspected CIA informant Raymond Davis only exacerbated a sense among many Pakistanis that their nation's sovereignty was under threat by an aggressive American foreign policy. Added to the usual problems with corruption, government instability and ethnic tension, Pakistan has endured a tumultuous year even by its own standards. However, Munter remains optimistic that the U.S.-Pakistan relationship will ultimately prosper, citing the maintenance of strong military-to-military ties as well as the continued implementation of projects like those cited by Shah. Both men agreed that continued economic development is a key component of improving the often-contentious diplomatic relationship between the two countries, a relationship that will continue to define events in the region for the foreseeable future.